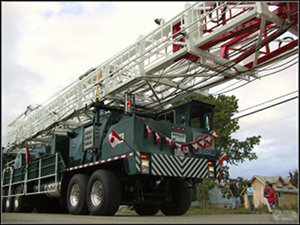 Roadata Services Ltd. (RDS) has been assisting Municipalities since 1995 with 88 Municipal Partnerships. We have the experience to offer outstanding service to Municipalities for Permit Approval Services, Data Maintenance, Roadway Protection Programs and Roadway Development Applications. Our professional team of experts are available to assist you, 7 days a week, 365 days a year. We pride ourselves as Canada’s largest and most experienced permitting agent. RDS has issuing authority in 49 of Alberta's 68 Rural Municipalities proudly serving 71% of Rural Alberta Municipalities. We work as your back office or as a supplement to the staff you already have in place so you can focus your attention on more important Municipal issues. RDS takes care of the mundane administrative work and fields the unnecessary multiple phone calls that interrupt your day. Our advantages combine to result in improved Industry compliance. Industry appreciates that we have information quickly on hand for Rural Municipalities and can simplify the process by providing a one stop shop! For more information or to get started with Roadata Services Ltd. please call 403-314-9500.